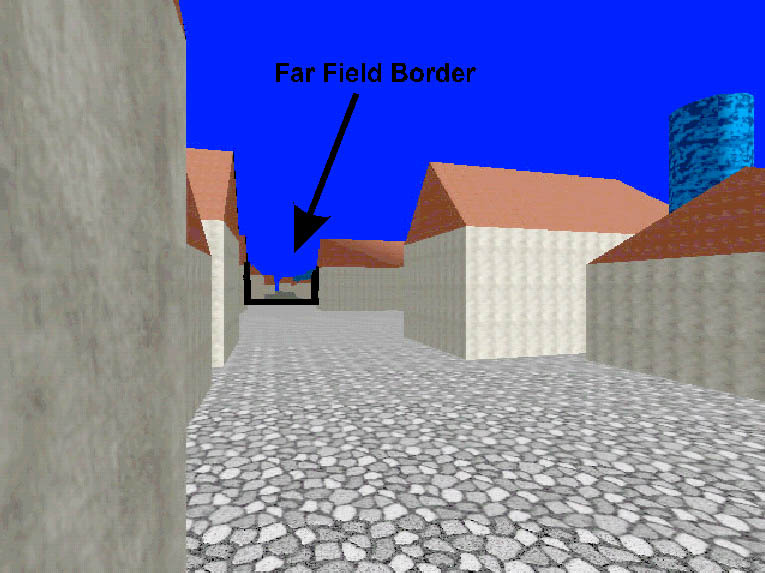 We present an output-sensitive rendering algorithm for accelerating walkthroughs of large, densely occluded virtual environments using a multi-stage Image Based Rendering Pipeline. 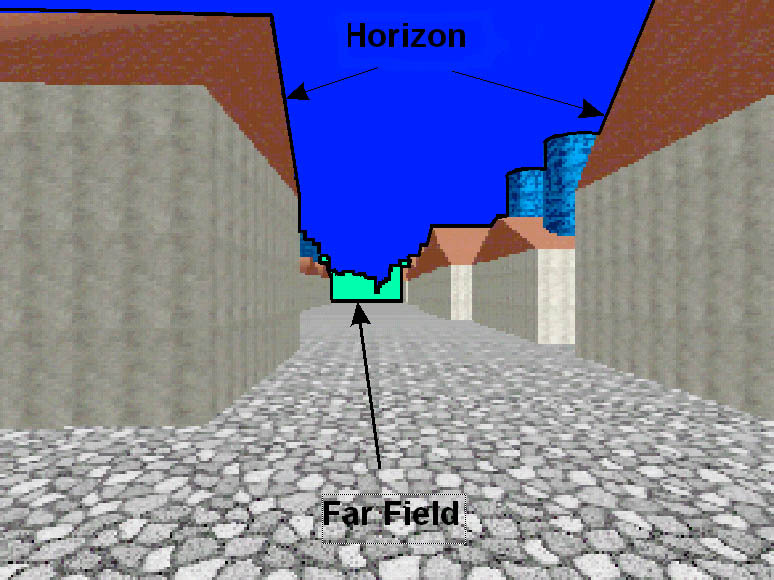 In the first stage, objects within a certain distance are rendered using the traditional graphics pipeline, whereas the remaining scene is rendered by a pixel-based approach using an Image Cache, horizon estimation to avoid calculating sky pixels, and finally, ray casting. 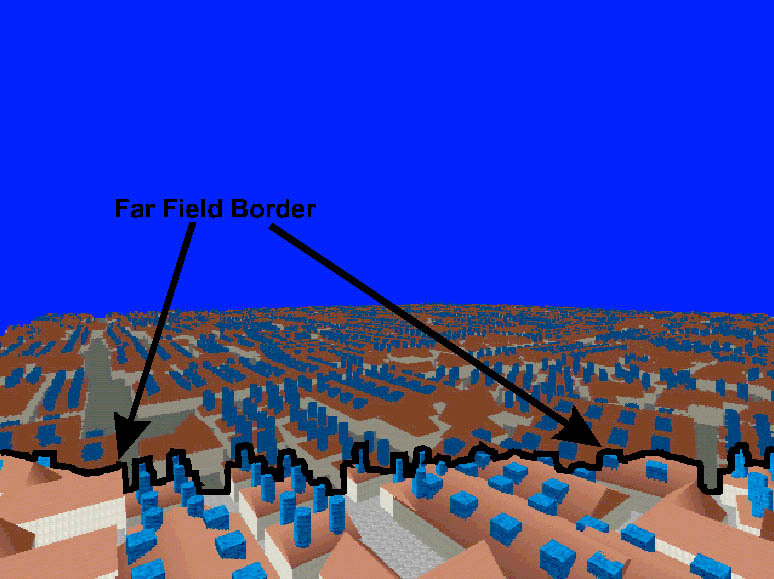 The time complexity of this approach does not depend on the total number of primitives in the scene. We have measured speedups of up to one order of magnitude. Funding: Austrian Science Foundation under contract no. P-11392-MAT and Ars Creat Game Development.